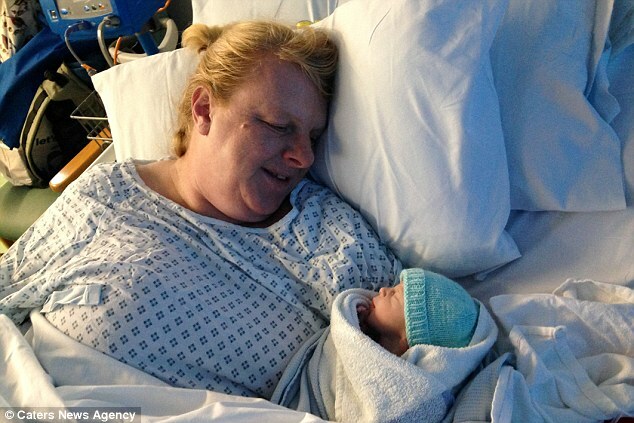 A woman who suffered 18 miscarriages after her own body rejected her pregnancies had revealed her joy at finally achieving her dream of becoming a mother at 48. 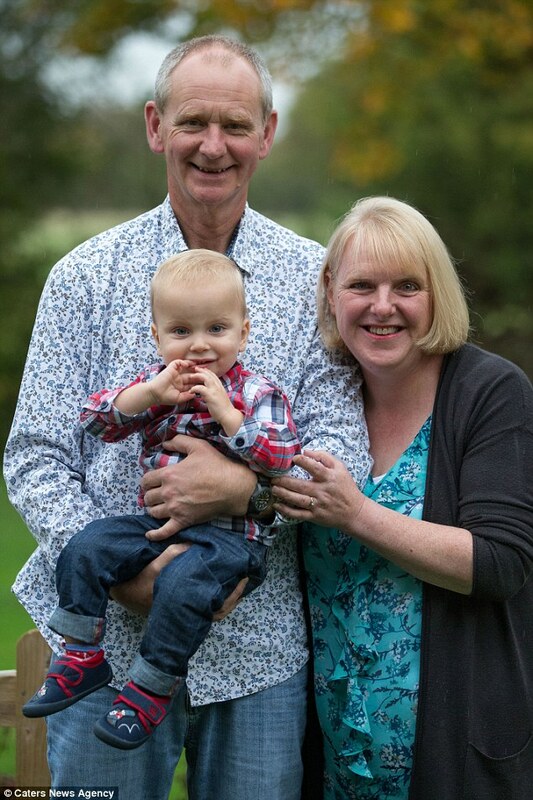 Louise Warneford and her husband, Mark, 55, from Swindon, endured countless rounds of IVF costing around £80,000 over 16 years before a specialist finally found the reason behind her miscarriages. 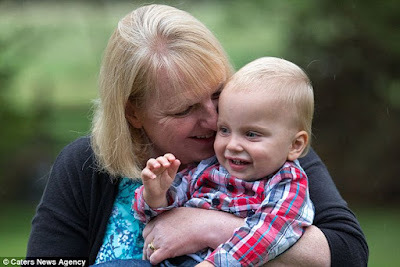 After coming close to giving up in 2010, the couple agreed to have one final try after a doctor told them a donor embryo might be successful, and Louise gave birth to a healthy baby boy, William, at 37 weeks. The breakthrough came in 2015 when doctors identified that she had ‘killer cells’ which meant her own body was destroying her embryos. 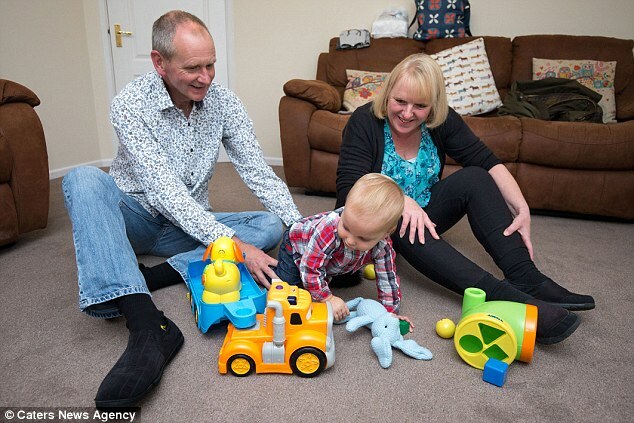 Although Louise and Mark say people sometimes mistake the couple for baby William’s grandparents, they are over-the-moon to finally have a child of their own. Louise explains: ‘Mark and I had been trying for a baby since I was 32. 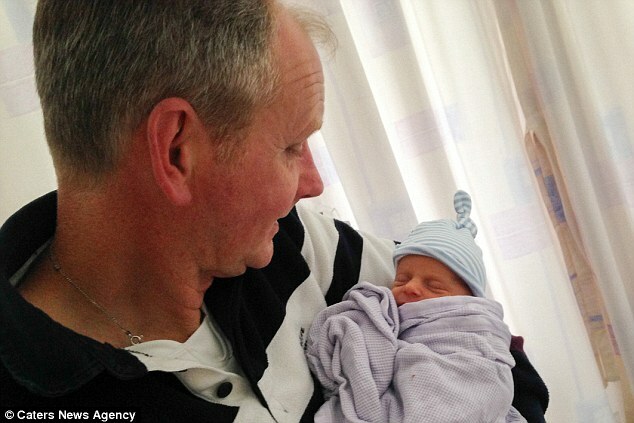 We’d suffered 18 miscarriages and spent £80,000 but looking at William now, it was all worth it. The couple first met in 1999 and Louise immediately knew that Mark was ‘the one’ that she wanted to start a family with. However, due to Mark’s vasectomy from a previous relationship, the pair had to look for alternative ways to make Louise’s dream of having a baby a reality. She says: ‘We went to a fertility specialist to find out about the quickest way of conceiving, and they suggested a sperm insemination. ‘I fell pregnant a number of times with the insemination, but every single time I ended up losing the baby around the 14-week scan mark as they couldn’t find the heartbeat. ‘Each time I got my hopes up and thought that “this was it” and I was going to have the perfect family I’d always wanted – I couldn’t stop crying every time I miscarried. ‘We decided to try IVF but despite falling pregnant a number of times, we always lost the baby. 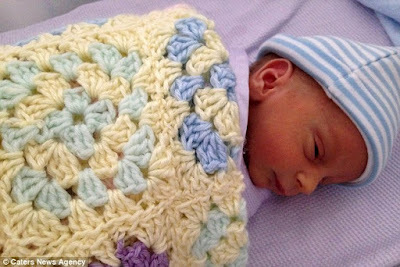 ‘It was a complete mystery why my body kept rejecting my baby at just a few weeks old but it was heart-breaking every single time. Louise gave up on her dream in 2010, unable to face any more attempts. She says: ‘There is no grief that can compare to losing a much loved and wanted baby – all your hopes and dreams are shattered. However, determined to find out what was wrong with her body for peace of mind, Louise decided to find a clinic who could finally diagnose her fertility problem. Louise said: ‘I met a specialist in maternal medicine called Doctor Shehata and he told me that I had killer cells in my body, which was why I couldn’t hold a child. ‘I told him I’d had 18 miscarriages and that I couldn’t go through that again but he gave me the courage to have one more try. ‘I didn’t do anything until four years later, when I was 47 and I said to Mark that we had to try one more time before I was 50. ‘This time, because I was too old for certain clinics in the UK, I decided to do my own research and had embryo donation in the Gynem Clinic in Prague. The couple finally got pregnant when Louise was 47 and, despite a nerve-wrenching nine months, their son William was born healthy. ‘He was born at 37 weeks through a planned C-section because I was told that there was a problem with the placenta. Louise said: ‘It was the toughest time in my life, but it’s so worth it for our dream baby. ‘We’re a perfect family now and I finally feel complete – we even have a grandchild now, and at just ten months old, William, became an uncle. ‘It was very expensive, and we spent £80,000 in total for fertility treatment, but we just put our life on hold for our dream baby. 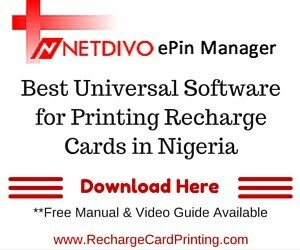 ‘We saved the money over the 16 years of trying, and just didn’t go out very often – we were very frugal, but we wanted a child more than we wanted money.